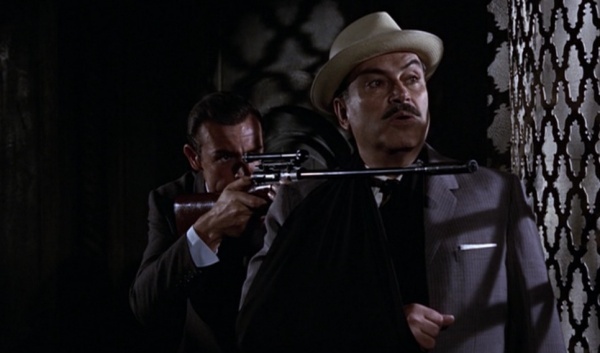 I know, I know...there are a LOT better rounds out there, but I kinda wanted to get my James Bond on...been carrying a Walther PPK ("Like a brick through a plate glass window.") Well, not quite but it definitely was a step up from the .25 Beretta he carried prior to that. But it's easy to carry and easy to shoot. I've got a PPK-S in .380, which I've had for 30 years, and it's an accurate and reliable weapon. I won a contest with it in reduced light shooting because of the sights. 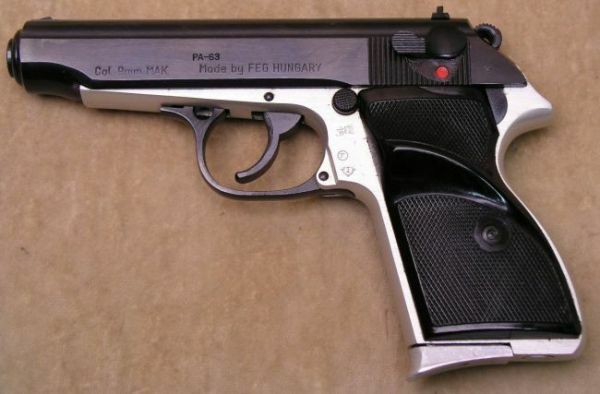 The PPK was made in 68, so it's not all that old. I don't feel unarmed carrying it. I was looking for a Berns-Martin holster for going full Bond, but found out they didn't make holsters for automatics. Oh, well. Fleming got it wrong on a couple of accounts. Anyone remember what other handgun Bond had in his Bentley? I think it's way under powered unless you are dressed in a tuxedo. I do enjoy shooting the random .32's that cross my path from time to time. I've shot plenty of .380 PPK's, and, while it's not like the round is Dirty Harry material, in a light, blowback gun like that, it definitely has some snap. Had a co-worker at one time with a Manhurin-licensed .32 PP - thing was a hoot & a half. Wouldn't mind picking one up in that chambering. Shortly before the publication of From Russia with Love in 1956, Fleming received a fan letter from a Major Geoffrey Boothroyd. Boothroyd was a retired Army Major and gun collector. Boothroyd told Fleming that he really admired the Bond novels apart from the hero's choice of weapon. He felt that the Beretta 418 (.25acp) was "a lady's gun" with no real stopping power. He also objected to the choice of holster. Boothroyd proposed that Bond should use a revolver like the Smith & Wesson Centennial Airweight. It had no external hammer, so it would not catch on Bond's clothes. The Smith & Wesson could be kept in a Berns-Martin triple draw holster held in place with a spring clip which would decrease Bond's draw time. Boothroyd also had bad words about the silencer Bond occasionally used, saying that they were rarely silent and reduced the power of a gun. I've had something similar. The PA-63 and it takes 9x18Mak. It's a Walther clone. I wouldn't feel unarmed either, but the 9Mak is a better choice. Who can forget Bond shooting down a helicopter with an AR7? I used to have a KelTec P32 as a BUG; it fit perfectly in a pants pocket and was 100% reliable after a total factory rebuild. When mini-9mms hit the market it got sold in favor of a PF9, then a Shield. Now Wife and I enjoy my Colt 1903 and her custom Walther PP in .32 on the range, mostly for the variety. They’re a delight to shoot, and have that certain panache that our more modern handguns may lack. No one answered my question, I suspect in excitement about my PPK...so I'll ask it again. What other handgun did Bond carry in his auto? He might have used it once, maybe not. When they made him turn in his .25 auto they issued him a .38 Special as a "heavy" handgun. When his buddy got roasted by the flamethrower, he said it was "ineffective against a tank", I believe. I'm thinking about the books. I don't remember (from the book) him having a .38, but what he did have under the dash of his Bentley was a "long barreled Colt." No caliber was specified. I'm thinking about the books. So am I. Read the chapter near the beginning of the book (No, I don't remember which one) where his boss is insisting he must upgrade his arsenal. "You have a license to kill- - - -not be killed". A PPK became his primary carry piece and the .38 Special was the heavier-caliber backup. On the first mission with the new guns, an old friend he hires to help him gets BBQ'ed by some sort of huge all terrain vehicle with a flamethrower, and Bond empties the .38 at it with no noticeable damage. His after action report contains the comment I referenced above. I read Doctor No in high school, and as I recall, there was a scene in which he debated whether to take the Walther or a S&W .38 (a Model 10 possibly) to the island. He decided on the Smith due to power and range in outdoor conditions. On coming ashore, he was momentary bothered by the encroaching effects of salt water on the fine bluing. But I guess if you're in a world where an AR-7 is a valid anti-aircraft weapon, a .32 Auto must rival Mjolnir for effectiveness. Hooray for Hollywood! Bingo! That's the book I remember! Now that you mention it, I do recall seeing a picture of Connery holding a Colt Woodsman or similar .22 pistol. Here's a list of Bond's guns. For around a century (+/-) now, Europeans have been killing each other quite well with the .32ACP. Despite its light bullet and slow velocity, it seems to get the job done. Wonders never cease. 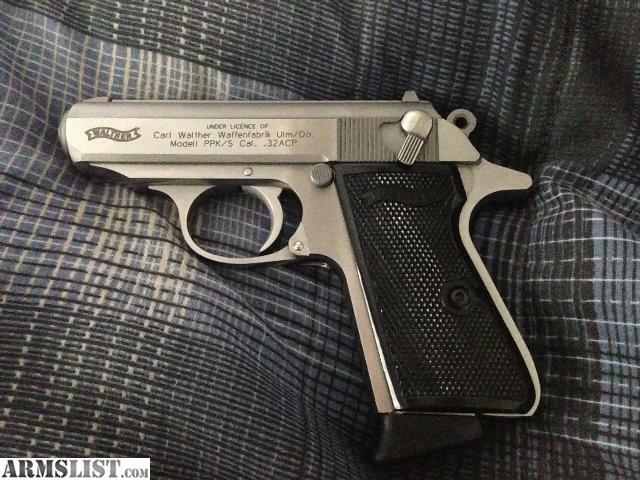 I own a Walther PP .32 ACP/7.65mm.............very nice little pistol. Once (PP PPK PPKs models) considered the Cadillacs of of small semi-autos. Pretty darn accurate too. Mine has a DB stamp, German railroad police. Many used/refurbished ones were sold through US Rod n Gun Clubs anywhere from $69 to $200 or more over the years. They were chambered in .22/.25/.32/.380 or 9mm Kurz (short) to my knowledge. 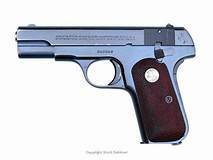 I think a variation of something akin to 9X18 Mak caliber was offered and probably more in small numbers in the family tree. The PP models in .32 holds 8 rounds in the magazine, .380s are 7 I believe. Yep, just verified mine has a mag with 8 .32 ACP rds in it. Better than spit in the eye. I took it back to where I got it. I'd had stoppages before and I can't have that in a defense gun. Like chief I have a Walther PP in 7.65 that is a really nice gun and I do carry it from time to time. I also have a nice old 1922 FN Browning in 7.65 that is pretty cool. I even have an little .25 someplace. 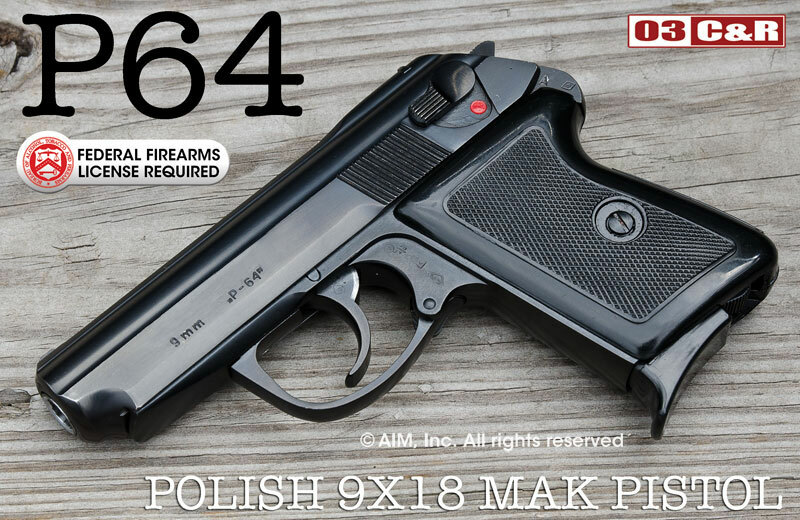 Other than about 3X the price and a couple of millimeters of bore size, what's the difference in a .32 caliber PPK and a 9X18 Makarov round in a P-64? The Mak is a better round, and probably a better pistol. However, I can't see James Bond confront a bad guy with a ComBloc pistol. The last .32acp I fired was my Uncle’s Seecamp. Nice little toy but between the no sights and being tiny & light I couldn’t hit a target past 5 yards with any accuracy. Now as a gentleman’s vest pocket pistol very nice but that’s about it for me. More than a few gambling disputes have been resolved at "across the card table" range by a .41 caliber Deringer. Only one shot available, so don't miss! It was the issue sidearm for the OSS in WWII. And those guys knew a little bit about homicide. Its kinda like American cars with huge engines that they really don't/didn't need. This is 'Merica, and bigger is better! I have a wartime PP in .32 ACP - very fun and pleasant to shoot and I can't miss with it! Now with all that said, I carry a 9mm - the ammo's far cheaper and the gun really isn't any larger than a PP, and weighs less! Best advice is know yourself/abilities/ gun/ammo have confidence in it and practice shootin it. Not the optimal caliber, but I don't feel under-armed if I choose to have it handy and remember first rule is to have a gun. Better than any .22/.22 Mag or .25 ACP. Sure I'd rather have a .357/.38/9mm/.45 ACP and it wouldn't be my first choice if I knew I was about to go in harms way. Thing is, these days with all the polymer light weight sub-compacts in .380/9mm you can get a lighter and smaller, more easy to carry pistol in a larger caliber and even in .32 that are reliable and cheaper. It sill is a gun to be admired for its quality and reliability. and the Las Vegas catastrophy where the shooter was carrying a substatial weapon. I don't want to go up against an AR with one. In that scenario I want 9mm or bigger, preferably bigger. But I carry my 9 because I feel pretty confident I can dispatch someone no matter what they're shooting. The only exception to this if someone has an AR or longer range weapon I wouldn't feel good shooting at someone at 50 yards with it. But I'm not carrying a .30-06 around town. The common theme with the little pocket rounds seems to be, when you try to make them expand, they quit penetrating enough. The nifty thing about them though, is that if you stick with the FMJ's they penetrate plenty, and with a flat-nosed FMJ, you might actually get a slight effect that's a little wider than the initial diameter. I seem to recall that one of the "one-shot stop" studies (Marshall, maybe?) put the effectiveness of .45 ACP hardball somewhere around 60%, and that these little FMJ pocket rockets were not too far behind. Browning was clearly no dummy. On the one hand, he gave his U.S. military customers what they wanted - an excellent and powerful service pistol. On the other, he was no stranger to the effects of bullets on game animals and knew that stops are rarely instant. 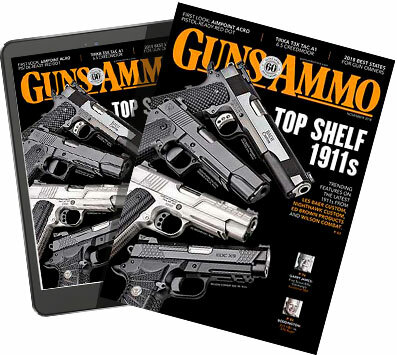 It likely crossed his mind at some point that, if you're going to be looking at a few seconds of bleed-out time regardless of caliber, a 20-ounce pocket pistol has a number of advantages over a 40-ounce service one. It seems unlikely that a man who grew up in a culture of elk hunters would design the .32, the .380, and even the .25 (and a boatload of different guns to shoot them) if he thought they'd be useless. Working in the early smokeless/jacketed age that he was, he was probably even more on the ball than we routinely give him credit for.